A Syrian man who has been living in a Malaysian airport for the last seven months has been arrested and will be deported back to Syria. 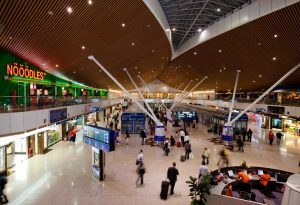 Hassan al-Kontar, 36, had been stranded in the budget terminal of the Kuala Lumpur International Airport since March 7. Kontar was working for energy companies in the United Arab Emirates when his work permit and visa were revoked in 2012 when the Syrian civil war intensified. By that time, a warrant had been issued for his arrest in Syria for refusing to return and serve in the government military to fight in the war. The civil war has been tearing Syria apart for the past seven years, leaving more than 350,000 fatalities in its wake. Instead of returning to Syria, he went to Malaysia, as it was one of few countries to give Syrians a visa on arrival. He overstayed that tourist visa, which was valid for three months, and is now blacklisted, so he cannot re-enter the country. Officials have refused to let him board a flight to Ecuador where he was planning to seek asylum. He has been refused entry into Cambodia and reentry into Malaysia due to visa issues. In the months since, Kontar had been living off chicken and rice meals donated by AirAsia and the occasional McDonald’s burger. He kept himself clean by showering in a disabled toilet and slept on a mattress on the floor. He said back in April that he refused to fight in the civil war even if it meant never leaving the airport. Kontar was arrested on the charge of being in a restricted area without a boarding pass, according to Malaysian immigration chief Mustafar Ali. However, according to other reports, he was targeted because his social media posts attracted too much international attention and embarrassed the Malaysian government. Kontar had complained in a series of YouTube videos that no one would take him in and rights groups had refused to help him. The unusual account drew comparisons to the blockbuster movie ‘The Terminal’. In that film, Tom Hanks plays a man who is unable to leave a New York airport after his travel documents are rendered useless when his home government collapses. The film was released in 2004.